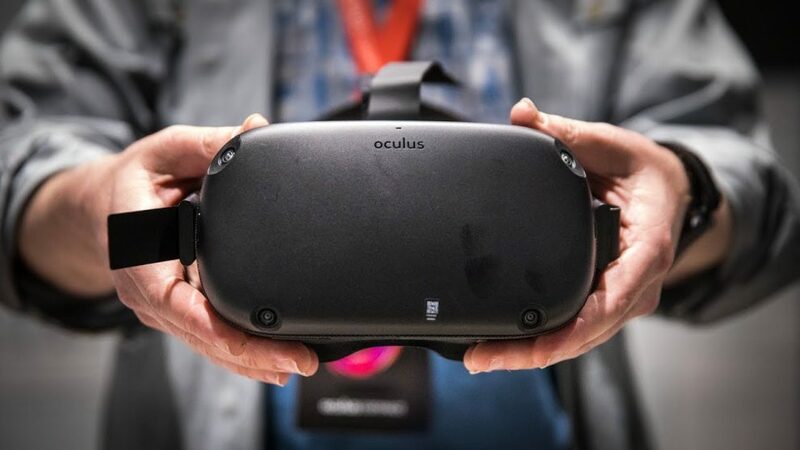 One of the biggest announcements at Oculus Connect 5 was the Oculus Quest, the new 6DOF standalone VR headset with two motion controllers, which will be released Spring of 2019 for just $399. Here is a hands-on report on Oculus Quest by Tested! I thought it looked very fun. Just as I thought, the graphics aren’t spectacular — that’s because the headset is running only on a mobile processor. So it looks like around the same level of graphics as Lenovo Mirage. But the wireless 6DOF experience makes it a lot of fun, as do the fully tracked twin motion controllers (the Mirage has only one motion controller, and the tracking is much more primitive — similar to a Nintendo Wiimote). Meanwhile I’m working on the next video, which I plan to post tomorrow — it will be fun and informative! It’s interesting to see the new developments with 6DOF. But isn’t this all mainly for gaming ? I always prefer to sit down when looking through a headset as I know if I start walking around I’ll invariably bump into things.